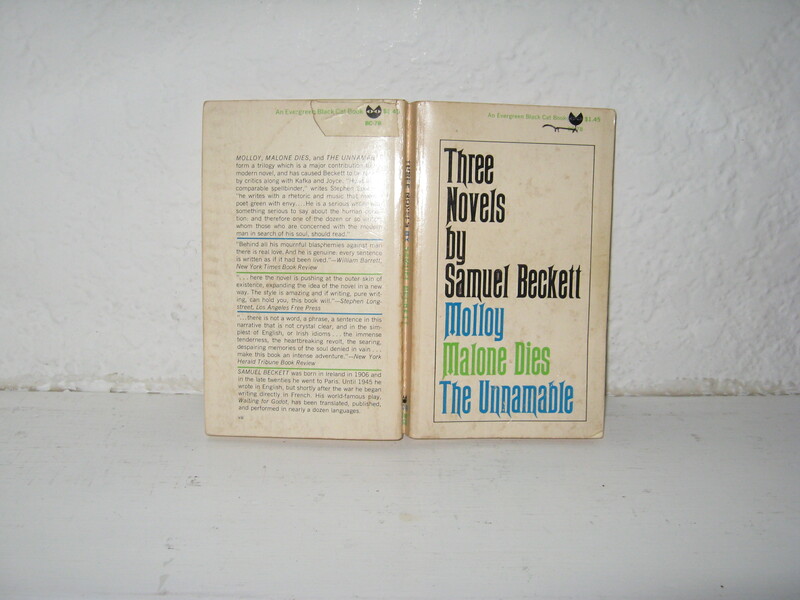 The above, expunged page is from Three Novels by Samuel Beckett: Molly, Malone Dies, The Unnamable (First Evergreen Black Cat Edition, 1965, Seventh Printing). Page 161 was selected not quite at random (I liked that it begins with the numbers), though any page might work, to illustrate, in concrete poetry style, the proliferation of personal pronouns throughout Beckett’s text. 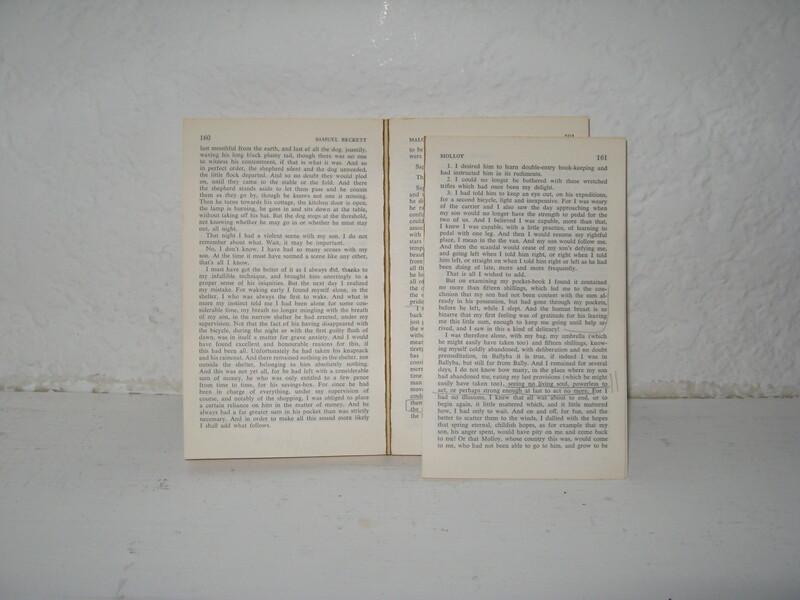 The excised page, each pronoun appearing in its place from the original page, the surrounding words cut, makes for an effective and lovely concrete poem expressing one of Beckett’s themes, the individual immersed in white space, floating. Although an equally provocative reading might suggest that each pronoun is a separate individual, each reaching out for another. 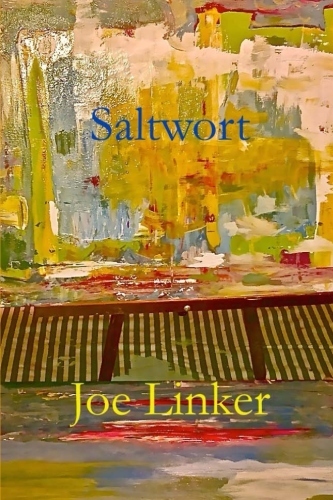 Try reading the concrete poem aloud, pausing between words just for the time it takes for your eye to locate the next one. You seem submerged in white space. Paper paper everywhere.